A variety of tensile strengths and physical traits represented. GEO-logic is a unique, comprehensive series of teaching collections designed to assist both teacher and student in understanding basic earth science concepts through hands-on activities and carefully prepared teacher and student guides. 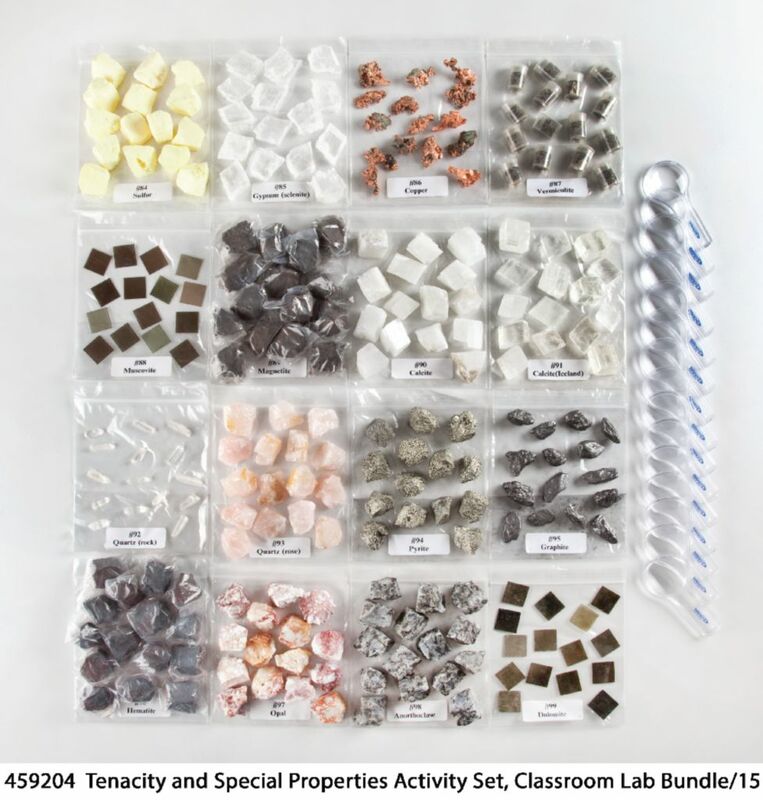 The GEO-logic system provides a modular approach to teaching and allows you to address broad curriculum needs for the study of minerals and rocks; natural resources and energy; and fossils and earth history. 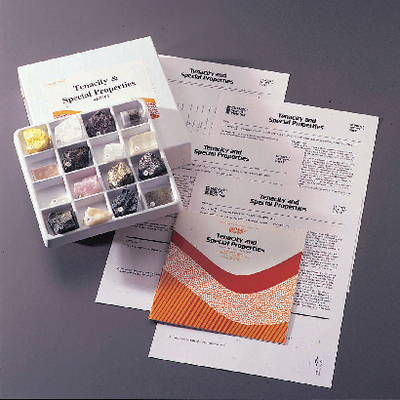 The two types of GEO-logic teaching collections include a Reference Set, which provides an overview of all topics and comes with a teacher’s guide, and Activity Sets, which provide greater depth in an individual subject area and include both a teacher’s guide and student copymasters.